Students danced the night away to the Buttertones’ energetic sound. Last weekend, UC San Diego welcomed surf-rock band The Buttertones to The Loft. Their fast-paced, feel-good music invited the members of the audience to form a frenzied mosh pit filled with crowd surfing and people dancing the night away. 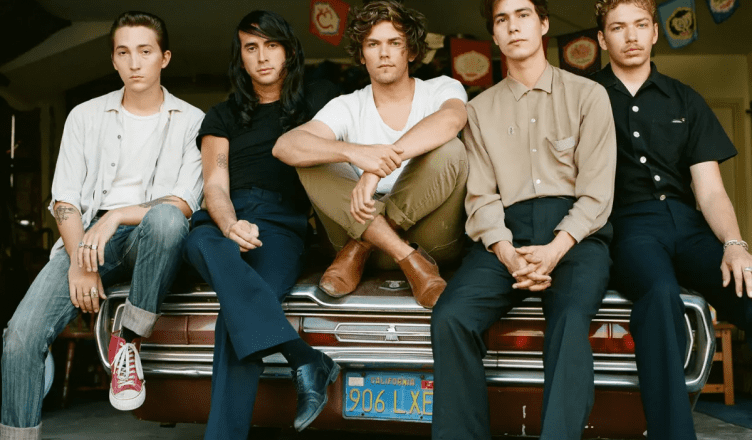 The Buttertones have garnered a significant following since their formation in 2012; they have performed on UCSD’s campus twice in the last two years, as well as at the world-renowned Coachella music festival. Before starting their set, they were introduced by The Bakery, an alternative rock band made up of UCSD undergraduate students. Clad in solid-colored tees and skinny jeans, The Bakery set the tone for the rest of the night, its energetic music animating the crowd. As people entered the venue, it was hard to find anyone who was not having a good time. The Buttertones were welcomed by an eager crowd. The dim lighting set the scene; the bodies in the crowd became lively shadows while the musicians occupied the limelight. The energy between the band and the crowd was palpable. The audience was a sea of enthusiastic faces and swaying bodies. Everywhere, there were girls with funky hairstyles and even funkier attitudes and guys in dirty white sneakers and colorful tops. At first there was awkward fumbling at the foot of the stage, but by the end of the set there was a frenzied mosh pit of concertgoers swaying and vibing together. The explosive energy led to crowd surfing, and a couple of excited fans jumped on stage, only to get kicked off by security. Even among those who strayed from the pit, there was not a person in sight who wasn’t bobbing their head and tapping their feet. Just from looking at the crowd’s reactions, you would think The Buttertones were the most popular band in the world. The Buttertones are best known for their song “Orpheus Under the Influence,” from their self-titled 2014 album “Buttertones.” Musically, they take inspiration from various genres like surf-rock, garage-rock, post-punk rock, and doo-wop. If pressed to describe their music, I’d say it’s reminiscent of Joy Division with a Beach Boys twist — surf-rock, but with a little edge. For an alt-rock band in 2018, the band members were sporting distinctively vintage attire. The band members all had unique looks to them. They seemed to have mastered the messy, ‘60s-inspired look with suave hair. Wearing jackets and slacks, they almost looked too formal for their sound. However, the clash worked for them, as they filled the room with energy, fueling the frenzied audience in the mosh pit. In between songs, the members of the band were quite personable as they engaged with the audience and cracked a few jokes. Though the venue was small and the crowd was smaller than what The Buttertones usually garner, everybody seemed to have a good time equal to that of a larger crowd. Once they finished their setlist, the audience chanted for an encore to which The Buttertones granted three additional songs, including their rendition of “La Bamba,” transforming it into a 21st-century feel-good anthem. This was the perfect song to end the show with; nearly every person in the room began dancing with abandon. Not a single fan left disappointed and many lingered about the stage long after the show was over. KSDT Radio deserves praise for booking such an up-and-coming band, as well as making the night free for UCSD students. The Buttertones put up an exciting show that kept people dancing for its entirety.